Career Development Facilitator (CDF) training: BECOME A CAREER COACH! Become a Career Development Facilitator (CDF) through the National Career Development Association so you can learn new skills, affirm existing skills, validate your strengths, enhance your credibility, and show your dedication to your profession. All instructors are Certified NCDA CDF Instructors & Certified NCDA Master Trainers. CCE approved provider. Validate your expertise and enhance your credibility. 120 hours of professional development — comprised of 96 hours of eLearning and 24 hours of live video conferencing – Skype and other remote interfaces (traditional face-to-face format also available upon request). Instructor-led program. It typically takes about 10 weeks to complete the CDF program. The CDF program is designed for academic advisors, faculty advisors, career advisors, retention coordinators, directors, student affairs professionals, student services specialists, enrollment advisors, admissions recruiters, human resources administrators, career coaches, life coaches, educators, workforce development professionals, and individuals who wish to work in the career development field. The CDF program gives you an opportunity to review, demonstrate, and validate your strengths and proficiencies in multiple areas of career development to earn national certification as a Career Development Facilitator. Review career development competencies established by the National Career Development Association. Demonstrate your strengths and proficiencies in multiple areas of career development. Validate your expertise and show your dedication to your profession by earning your CDF. Marie Smith is a Career Development Maven. She has comprehensive knowledge of career development, professional development, curriculum development, instruction, online teaching and learning, resource sharing, technology, multimedia communication, language and literacy. Marie Smith has extensive experience in the career development field. For over 13 years, she served as the Career Development Coordinator & Associate Lecturer at the University of Wisconsin-Parkside in Kenosha, WI. Prior experience includes: Manager of Career Programs at Alverno College, Special Education Teacher at Racine Unified School District (Horlick High School), and Career Education Coordinator for Racine County Workforce Development Center and Kenosha County Job Center (through Kaiser Group, Inc.). Partners and Endorsements: National Career Development Association, Interational Assocation of Coaching, International Coaching Federation, and Center for on Credentialing Education. NCDA CDF is a 120-hour professional development program designed for experienced professionals who assist individuals and groups with career exploration, job search preparation, and resources. CDF is a nationally recognized, highly regarded credential that focuses on 12 career development competencies. Helping Skills – Be proficient in the basic career facilitating process while including productive interpersonal relationships. Labor Market Information and Resources – Understand labor market and occupational information and trends. Be able to use current resources. Assessment – Comprehend and use (under supervision) both formal and informal career development assessments with emphasis on relating appropriate ones to the population served. Diverse Populations – Recognize special needs of various groups and adapt services to meet their needs. Ethical and Legal Issues – Follow the CDF code of ethics and know current legislative regulations. Career Development Models – Understand career development theories, models, and techniques as they apply to lifelong development, gender, age, and ethnic background. Employability Skills – Know job search strategies and placement techniques, especially in working with specific groups. Training Clients and Peers – Prepare and develop materials for training programs and presentations. Program Management/Implementation – Understand career development programs and their implementation, and work as a liaison in collaborative relationships. Promotion and Public Relations – Market and promote career development programs with staff and supervisors. Technology – Comprehend and use career development computer applications. Consultation – Accept suggestions for performance improvement from consultants or supervisors. High school diploma/GED plus an estimated FOUR years of career development work experience. 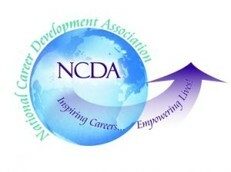 National Career Development Association (NCDA). The National Career Development Association (NCDA) is a division of the American Counseling Association (ACA). National Employment Counseling Association (NECA). National Association of Workforce Development Professionals (NAWDP). Professionals who successfully complete this 12 competency program are eligible to apply for national certification as a Global Career Development Facilitator (GCDF) through the Center for Credentialing and Education (CCE), a subsidiary of the National Board of Certified Counselors (NBCC). The National Career Development Association (NCDA) is a division of the American Counseling Association (ACA). About the CDF Instructors: All of our instructors are Certified NCDA CDF Instructors, Certified NCDA Master Trainers, and Certified NECA GCDF Instructors. Marie Smith will be teaching our upcoming CDF program via eLearning. Technology Requirements: Internet, email, document processing program (Microsoft Word or PowerPoint or Publisher or Prezi). 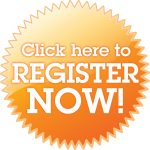 Click here to Register for CDF - immediate access (weekly modules via eLearning). Payments are processed using a secure Paypal link.